He was very professional and attentive to all details. He is very helpful, takes time to explain things carefully, and addressed all my problems. * If you have an HMO insurance plan, please have a referral from your Primary Care Doctor. Please note that if you are a new patient to Boston Medical Center you will need to register in our system. Once you book the appointment, please call the office for details. Christopher Huang is a diligent and detail-oriented gastroenterologist at the Boston Medical Center. Dr. Huang is an Assistant Professor of Medicine at the Boston University’s School of Medicine. He is certified by the American Board of Internal Medicine in both Internal Medicine and Gastroenterology. Dr. Huang attended the University of Medicine and Dentistry of New Jersey to receive his medical degree in 1998. He then completed his medical residency at the Brigham and Women’s Hospital in Boston. In 2004, Dr. Huang completed his post-residency fellowship at the Boston Medical Center. Dr. Huang has expertise in general gastroenterological conditions such as gastroesophageal reflux, irritable bowel syndrome, and peptic ulcer disease, but also has a focus on pancreatic and biliary disorders. He provides his patients with the information they need to understand their condition and will offer the best available treatment and prevention strategies. 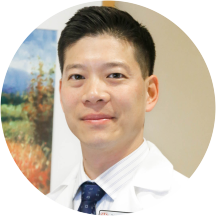 Dr. Huang is an avid educator and frequently supervises fellows and residents working in his office. Most of his appointments are completed within an hour, and consultation reports will be promptly sent to the referring physician. As usual, Dr. Huang, and his colleague, were on time, well prepared, listened patiently, asked pertinent questions, conducted a thorough exam, offered simple, straightforward advise, and offered his availability for future needs.